The holidays are here! 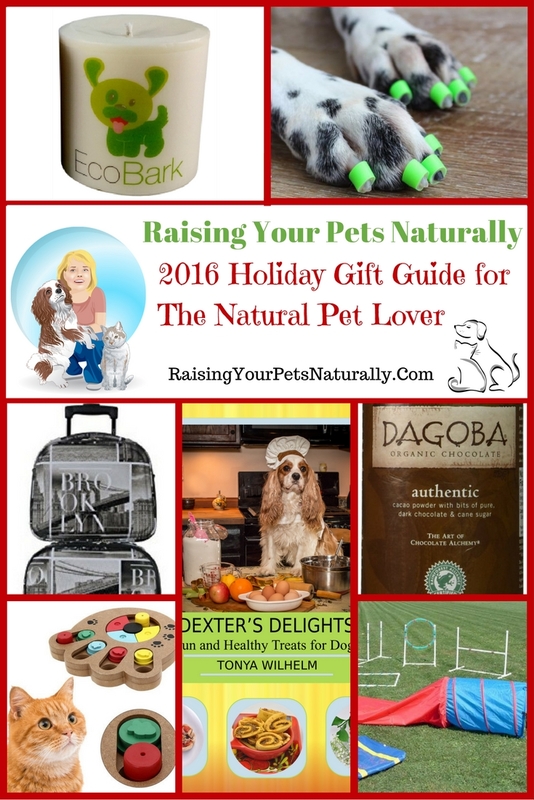 Welcome to Raising Your Pets Naturally’s first Holiday Gift Guide for The Natural Pet Lover. This holiday gift guide for 2016 is unique – only the best companies, brands, and products make the guide. If you are looking for unique Christmas gifts for dogs or fun Christmas gifts for cats, this pet gift guide is for you. But it’s not just about our pets! You will find some of the best natural, healthy, and fun products for people too. I do hope you enjoy this unique gift guide. 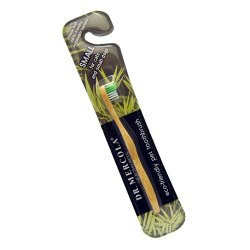 Dr. Mercola Eco-Friendly Pet Toothbrush Just like you uphold good dental hygiene because it’s important for your overall health, it is the same for your pet. My Healthy Pets Eco-Friendly Pet Toothbrush is made out of sustainable, strong, non-toxic bamboo with chemical-free, recyclable nylon bristles. Order today! 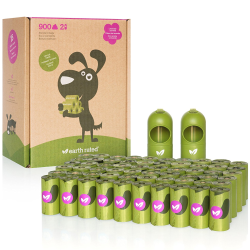 Earth Rated® Green Dispenser with Dog Waste Poop Bags Earth Rated bags are bigger, thicker, tougher and totally leak-proof! Earth Rated products are the industry leader in terms of quality and most of all, affordability. At Earth Rated, we don’t leave out the littlest of details – even our rolls’ cores and packaging are made from recycled content! Order today! 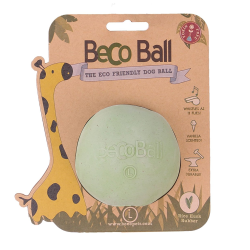 Eco-Friendly Becoball BecoBall is the world’s first natural rice husk rubber dog ball. Made from rice husk rubber, this revolutionary toy is 100% toxic free and safe for your pet! They are also scented for a great smell that will entice your pet. It also has a treat spot for hours of fun. Order today! Pet Pizazz 100% Wool Eco-friendly Cat Ball Give your cat a fun, all-natural toy to play with. Your kittie will enjoy chasing and batting these balls all over the house and yard. Made of 100% felted wool with non-toxic dye. These balls are colorful and hold up well to claws and scratching. **These balls are not meant as chew toys. Order today! Alfie Pet by Petoga Couture Qatie Bamboo Fiber Pet Bowl Our new line of Eco-Bamboo pet bowl and dish are designed to lower the manufacturing impact on natural resources and meet the needs and budgets of any consumer concerned about the planet’s future. 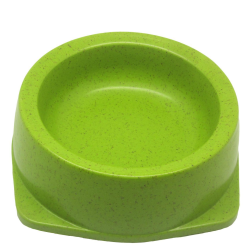 Made from durable natural bamboo fiber, Our Eco-Bamboo pet bowl and dish are earth-friendly, convenient and modern. Order today! 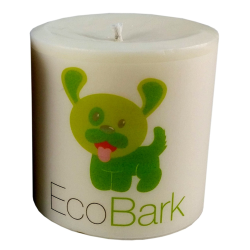 EcoBark Pet Odor Eliminating Pillar Soy Candle Features of The Odor Eliminating Candle: Handmade in the USA, 100% Natural Blend of Soy and Vegetable Wax, No Parrafin or Other Petroleum Based Additives, Renewable Ingredients that Burn Cleaner with Less Soot and Pollution, Sweet Smelling Blend of Specially Formulated Pet Aromatherapies, Eco-Friendly Pillar Candle Shipped in Recycled Cardboard Container Order today! PYRUS Eco-friendly Pet Paw Puzzle The eco-friendly material eliminate the worry about your pup in the feeding and the play,it provide your pup with a safeguard. The puzzle training toy designed with the 12 hidden cave,enhance the intelligence of your dog’s when him is feeding. Give your baby a healthy and happy growing. Order today! P.L.A.Y. Rectangular Bed with Eco-Friendly Filler Designed to coddle your pet and compliment your home. Meticulous and durable hand-sewing ensures years of use. Unique, non-repeating design makes your pet feel super-special. 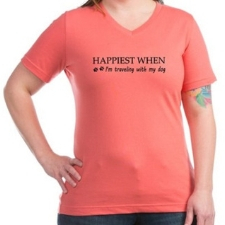 100% natural cotton covering is soft, breathable and allergy-free. Filled with the perfect amount of high-loft PlanetFill filler, an Eco-friendly filler manufactured from certified safe recycled plastic bottles. Order today! 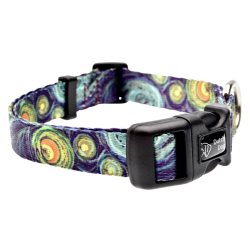 Dutch Dog Amsterdam Eco-Friendly Van Gogh Dog Collar Dutch Dog Amsterdam’s Van Gogh print, non-toxic dog collar, made of recycled PET webbing, inspires a classic artistic sensibility with its the Starry Night motif. The PET webbing is softer and lighter than nylon, but just as strong and durable. Order today! 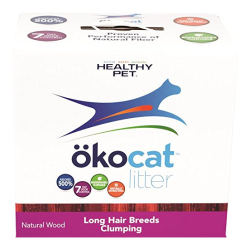 Healthy Pet okocat Natural Wood Litter ökocat Litter offers superior performance in a natural pellet. Free from chemicals, dyes and other synthetics, its specially formulated pellets have been lab-tested and proven to absorb more than 5X their weight in liquid and control odor for 7 days. It has the added benefit of being biodegradable for flushable disposal. Order today! Pura Naturals Pet Organic Bath Bundles Bathing the way nature intended! Cleanse your pup with Pura’s USDA Certified Organic shampoos and dry them off with our unique, USA made, drying gloves made with a natural moisture absorbent to pamper your pet! Order today! The Snuggly Dog Easy Wear Microfiber Dog Towel The Snuggly Dog easy wear 100% microfiber dog bath towel wears like a warm plush dog robe. 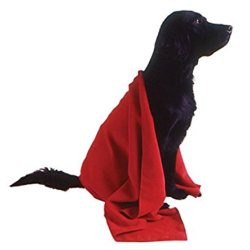 Made with 400gsm microfiber material for a superior water absorbent dog towel that dries your dog’s coat off quickly. Adjustable neck toggle and button with elastic loop to secure it around the tail. Order today. 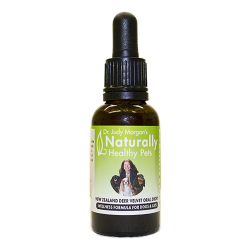 New Zealand Deer Velvet Oral Drops Wellness Formula For Dogs & Cats Deer Velvet Oral Drops is Dr. Morgan’s signature product that makes caring for your pet’s dental health easier than ever with all natural ingredients sourced from New Zealand. Beneficial for use in oral maladies such as: stomatitis, gingivitis, tooth extractions, ulcers. Order today. 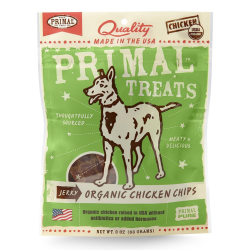 Primal Grain Free Jerky Chips Dog Treats The Primal Pet Foods treat line was created for dogs and cats with the goal of providing wholesome, human-grade snacks containing no preservatives, gluten or grain. All Primal Treats are produced using USDA meats, poultry and game raised in the United States and New Zealand without antibiotics or added hormones. Order today. 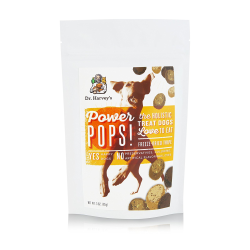 Dr. Harvey’s 1 Piece Power Pops Bag for Dogs Dogs naturally crave tripe and can’t resist the smell and taste of Power Pops! They’ll do almost anything to dig into another healthy, delicious treat. And Pet Parents will be happy to know that Power Pops are made with a single ingredient: Freeze-Dried Regional Green Tripe! Order today. Orijen Alberta Wild Boar Singles Freeze-dried Dog Treats ORIJEN Freeze Dried Wild Boar Treats are Biologically Appropriate single-source treats that are a simple and pure way to nourish and reward your dog with tastes he will love you for. 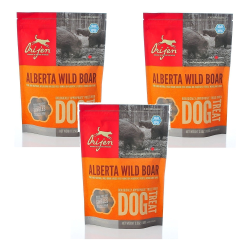 This unique treat features 100% pure and natural Alberta Wild Boar to keep your dog happy, healthy, and strong. Order today. 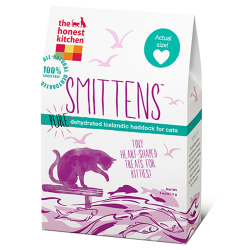 The Honest Kitchen Smittens: Pure Fish Treats For Cats Smittens pure fish treats are for lucky kittens, and cats. These 100% Icelandic haddock treats provide the perfect aroma and texture cats adore at only 1.1 calories apiece. So, there’s no shame in sprinkling ‘em on anything and everything for an extra somethin’ somethin’. Order today. 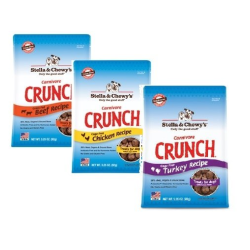 Stella & Chewy’s Carnivore Crunch Variety Pack of 3 – Beef, Chicken, and Turkey Every dog deserves treats! Give your pet little rewards every day with these good-for-them treats. Carnivore Crunch freeze dried treats are ideal bite-size treats that are perfect for training and everyday rewards. So good cats love them too! No added hormones, antibiotics, artificial preservatives or colorings. Order today. Freedom No-Pull Harness The Freedom Harness Makes Walking Fun! This harness features a patented control loop on the back of the harness, which tightens gently around your dog’s chest to discourage pulling and makes walking your dog an easy, more enjoyable experience for both of you. 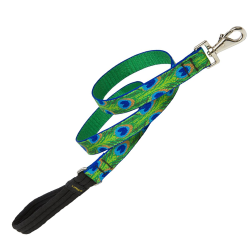 Lupine Tail Feathers Dog Lead All Lupine products are proudly built in Conway, New Hampshire and Guaranteed (Even if Chewed). Made from jacquard woven nylon, with the pattern woven into the webbing. Features strong bar-tack stitching, unique padded handle and a zinc-plated reverse-gate snap. Offered in a range of fashion-inspired patterns with matching collars available. Order today. 1-Running-Dog Bike Tow Leash® Amazingly stable and safe, the 1-Running-Dog Bike Tow Leash® provides more satisfying dog recreation than any walk. Best dog present ever! Dogs especially like running in cooler weather! Also for special needs adult trikes, mobility scooters and wheel chairs. No matter your abilities the dog gets a walk or run! Made in USA ph. 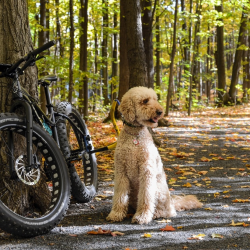 : 857-BIKE-DOG or 857-245-3364 Order today! 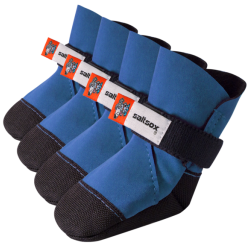 SALTSOX URBAN BOOTIES Saltsox dog booties set the new standard in paw protection for the urban dog owner. These high-performance booties feature a weatherproof design that will keep your best friend’s paws warm, dry and protected. These booties are designed from the concrete up for tackling the winter streets and sidewalks. Chicago Made Order today! Affordable Agility Equipment in the Bag The Agility in a Bag is the perfect solution for dog Agility. Everything you need to start packs in the convenient carrying bag! Comes with the most popular agility obstacles that can be used indoors or out. 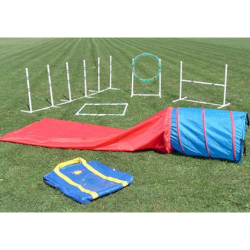 WEAVE POLE SET, HURDLE JUMP, TIRE JUMP, PAUSE BOX, TUNNEL, CLOSED CHUTE and CARRY BAG. Order today! 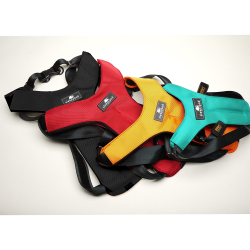 Clickit Sport Dog Harness Prepare for your next road trip with the Clickit Sport Dog Harness! This dog seat belt’s infinity loop design, in combination with an energy absorbing padded vest, is designed to distribute and reduce damaging forces in an accident. Automotive grade seatbelt webbing and 3 points of automobile seatbelt contact. Order today! 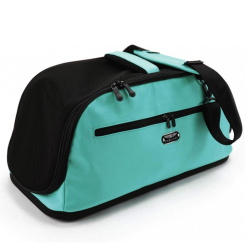 Sleepypod Air Pet Carrier The most stylish, functional, airline-approved carrier around. Allows your pet to travel in the largest space possible, while meeting airplane stowage requirements. The Sleepypod air also includes straps on both sides to safely secure it in your car. Can also be used with the telescoping handle on your carry-on! Order Today! Lillypet® Dog Puppy Diaper Washable Worried that your dog may pee on the hotel bed? No need to fear when your dog is wearing a dog belly band. 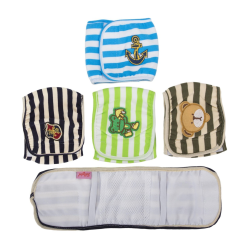 These diapers are made of nice SOFT COTTON with Adjustable Velcro Closure for Comfort and Adjustability on daily wear. They are REUSABLE. Order today! One for Pets Roll Up Travel Pet Bed These stylish, convenient roll-up beds make travel easy and fun for your pet (and for you). Best of all, your pet will have a familiar place of its own, wherever you decide to go. Generously filled with polyfill for maximum comfort. Order Today! 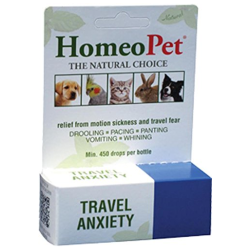 HomeoPet Travel Anxiety Stressful situations can be soothed with this fast acting, non sedating liquid. Nature’s gentle stress reliever quickly promotes a sense of calm. Homeopathic remedy provides relief for: Motion sickness, fear of travel including cars, boats, trains, and airplanes/flying. Order today! 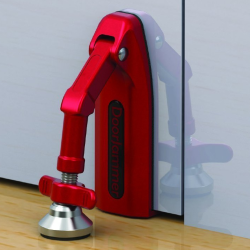 DoorJammer Portable Door Security Device for Home or Travel The DoorJammer is a unique portable door security device for anyone needing privacy and security. It is an ideal solution for lone travelers, backpackers, students and seniors. It’s is a simple way to prevent unwanted intrusions into any room and provide peace of mind. It is portable, discreet yet highly effective. Order today! 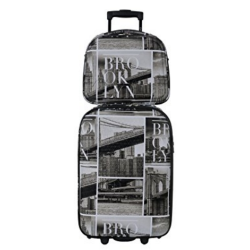 DAVID JONES Upright Carry-on Luggage Set Lightweight, 100% Polyester and easy for carrying. Carry-on size is according to airlines standards and the packing capacity is large enough for a weekend travel or a casual getaway within one or two weeks. The matching cosmetic tote can be slipped over the extended handle for a hands-free method of transport. Order today! 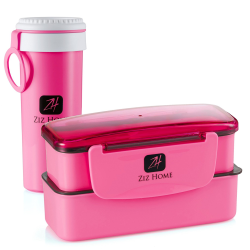 Ziz Home Eco-Friendly Lunch Box The ZIZ Home compartment lunch box set is made of BPA-free material hence your meal won’t be contaminated. The material is FDA approved. The container is strong and durable to provide you with years of service. You also get our no questions-asked Moneyback guarantee if you are not satisfied. Order today! ECCRIS VanGoddy Universal Canvas Hybrid Tote Chrome clips and hooks for the straps. Backpack strap can be stored away when not in use. Dual handles for use in either briefcase or tote form. 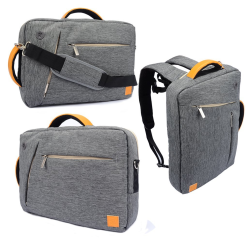 Removable/adjustable shoulder strap. Cushioned mesh pockets on the interior. Order today! 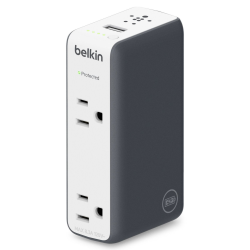 Belkin Dual-Outlet Travel Surge Protector with Battery Pack It’s easy to keep your devices powered up and ready for the next destination. The Travel Rock Star has everything you need to charge all your smartphones and tablets. 3-in-1, it provides you with a mobile battery pack for USB devices, dual-outlet charging from just one outlet, and a surge protector. Order today! 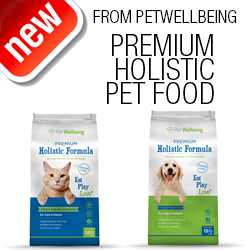 Pet Wellbeing Premium Holistic Pet Food What makes our Premium Holistic Formula a superior grain-free food? High protein, made with human-grade meat and fish. Antibiotic and hormone-free chicken and fish. No animal by-products used. Non-GMO. This holistic formula is formulated by a veterinary nutritionist and is veterinarian-approved. Perfect for all life stages. Order today! 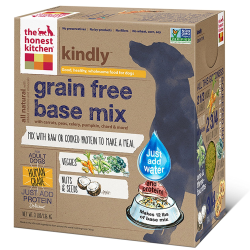 The Honest Kitchen Human Grade Dehydrated Base Mix Dog Food Kindly is a delicious base mix that skips out on fruits, potatoes and grains but still holds onto the healthy vitamins and minerals your sensitive hound needs. Just add water and your own choice of raw or cooked protein. It’s like making a home-cooked meal without all the prep work. Order today! 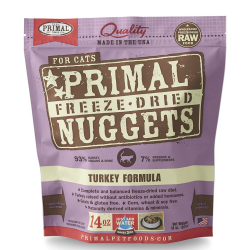 Primal Pet Foods Freeze-Dried Feline Primal Formulas are produced using only the freshest, 100% human-grade ingredients. Our meats are antibiotic and steroid free without added hormones. 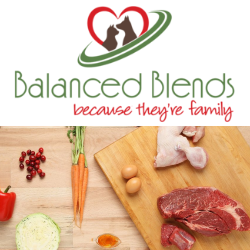 We incorporate certified organic produce, certified organic minerals and unrefined vitamins to fortify our complete and balanced diets. All Primal Formulas contain fresh ground bone for calcium supplementation. Order today! 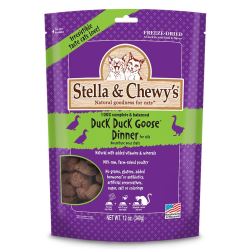 Stella & Chewy’s Freeze Dried Food for Cats 90% or more meat, organs and bone and is often a single source of animal protein, the perfect solution for pets with food sensitivities. Each protein is grass-fed, cage-free or wild caught. All of the produce in our recipes are 100% organic certified, grown by farmers we trust. Order today! 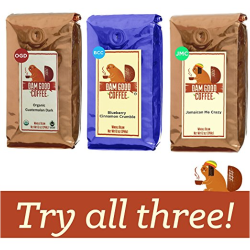 Dam Good Coffee, Fair Trade, Organic Guatemala’s coffees have a distinctive taste quality favored by many for its rich flavor. There are three main growing regions, Antigua, Coban and Heuhuetanango, and in each, one finds a rugged landscape and rich volcanic soil. Microclimates strongly influence the quality and flavor of the strictly hard beans grown at altitudes 4500′ or higher. Order Today! 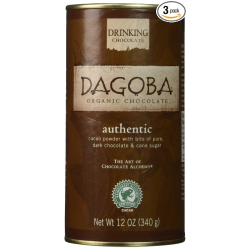 Dagoba Organic Authentic Drinking Chocolate (Fair Trade Certified) Dagoba is dedicated to The Art of Chocolate Alchemy: transforming exceptional cacao into edible gold. We practice Full Circle Sustainability – blending quality, ecology, equity & community into each step from the rainforest to you. Order today! 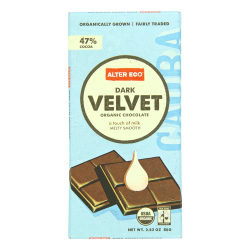 Alter Eco Organic Chocolate, Dark Velvet Experience the best of both worlds: the malty dark fruit depth of our signature Peruvian cacao with the creamy sweetness of whole milk from happy heritage grass-fed cows. Organic, fair trade, non-GMO, gluten-free, carbon neutral, and sustainablely sourced. Order today! Eco Teas Organic Fair Trade Yerba Mate Tea Eco Teas is a small company in southern Oregon owned and run by three best friends. our mission is to offer certified organic sustainably-grown, fairly-traded world teas. 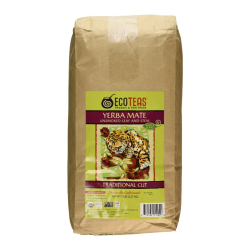 Our organic yerba mate comes from the fertile forests of northeastern Argentina. We work in partnership with a 3-generation family farm to ensure outstanding quality. Order today! 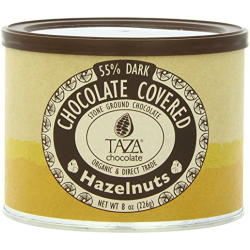 Taza Chocolate Chocolate Covered Hazelnuts Our gorgeous red barth sirocco roaster was designed to roast two things: cacao and hazelnuts. We gently roast each batch of buttery organic hazelnuts until they’re golden brown and crunchy. Then we spin them in hand-hammered copper pans, coating them with a generous layer of our stone ground dark chocolate . Order today! 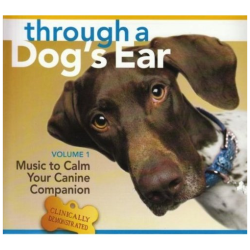 Through A Dog’s Ear: Vol 1 Clinically tested to calm dogs and reduce anxiety. Nine beautiful classical piano positions have been specifically rearranged to reduce anxiety in dogs. Recommended for all fear and anxiety issues, Music to Calm Your Canine Companion also creates a healthier sound environment for everyone in the dog household. Order today! 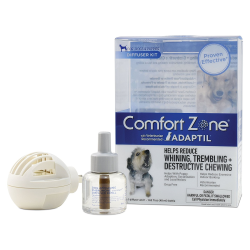 Comfort Zone Adaptil Products for Dog Behavior Comfort Zone Adaptil Diffuser mimics dog calming pheromones, which help to control unwanted behavior by signaling to your dog that he is safe and secure. Comfort Zone products with Adaptil are clinically proven to help control unwanted behaviors, so you can live in harmony with your dog again. Order today! 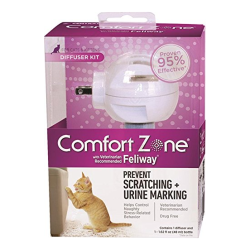 Comfort Zone Feliway Diffuser Kit Comfort Zone products with Feliway are clinically proven 90% effective at reducing urine marking and vertical scratching. They dispenses a drug-free, odorless vapor that mimics a cat’s natural calming pheromones. This signals to your cat that the area is friendly and safe, reducing your cat’s need to spray and scratch. Order today! Storm Defender Cape Research shows that dogs sense the static charge that builds up before a thunderstorm. 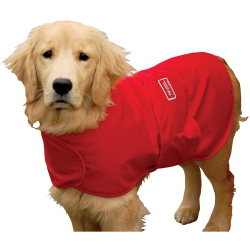 The Storm Defender cape is the absolute best way to prevent the static charge buildup from bothering your dog. This product has a special metallic lining that lies directly on the dog’s fur. Order today! Herbsmith Calm Shen Herbal Supplement for Dogs and Cats Herbsmith Calm Shen is for the dog exhibiting nervousness, hyperactivity and discontentment responding to environmentally-induced stress. 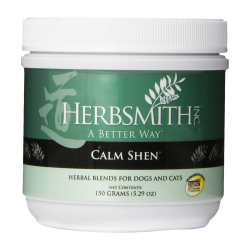 Herbsmith Calm Shen also helps to maintain contentment during separation, travel and changes in the pet’s daily routine. The herbs in this formula help to maintain calmness and balance behavior. Order Today! 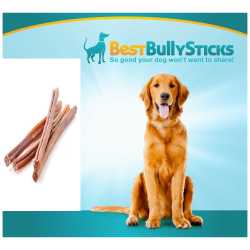 Besty Bully Sticks Sourced from Grass-Fed, Free-Range angus Beef, our bully sticks have the meaty taste your dog craves. Each bully stick is made of 100% beef and contains NO hormones, additives or chemicals. This satisfying chew is packed with protein and nutrients to ensure your dog enjoys a healthy lifestyle. Order today! 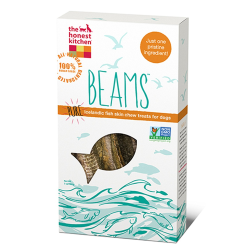 Honest Kitchen Beams Fish Skin Beams pure fish dog treats are the ultimate single-ingredient treat. These savory, chewy sticks, made only from 100% human grade wild Icelandic catfish, are guaranteed to satisfy the pickiest of pups. A solid source of lean protein and Omega 3s, no wonder dogs ask for them by name. Order today! Treats Happen Duck Feet Chew Our dehydrated duck feet are made in Canada in small batches from federally inspected ducks. HUMAN GRADE ducks from free run biosecure facilities which are federally inspected. This also means our feet aren’t greasy. Duck feet are a great natural source of glucosamine chondroitin for hips and joints. Order today! 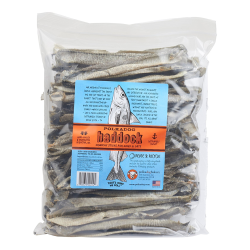 Polka Dog Bakery Haddock Skins We sailed the Ocean far and wide to net our latest delicious and nutritious single-ingredient offering from the sea. Sustainably caught North Atlantic haddock skin is hand-rolled and dehydrated in-house (Boston, MA) to an irresistible, satisfying crunch. Order today! 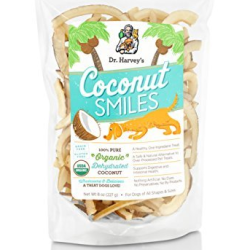 Dr. Harvey’s Organic Coconut Smiles Dr. Harvey’s coconut smiles are a healthy and delicious, made with just one ingredient – organic dehydrated coconut. Coconut is regarded as a ‘superfood’ because of its countless health benefits. Our coconut is of the highest quality, sourced directly from farmers, cultivated sustainably and in accordance with fair trade practices. Order today! 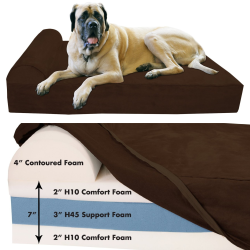 Big Barker 7″ Pillow Top Orthopedic Dog Bed Big Barker dog beds are made with 7″ of superior quality American Made therapeutic foam, 2″ layer of H10 Comfort Foam, 3″ middle layer of H45 Support Foam & another 2″ layer of H10 Comfort Foam – the same foam used in expensive furniture. Completely supports a big dog’s body. Order today! 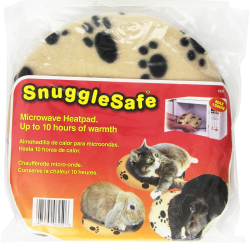 Snuggle Safe Pet Bed Microwave Heating Pad Allow your pet to snuggle up with the soothing warmth with the Pet Supply Imports SnuggleSafe Heating Pad. The plate-size pad contains no electric wires to worry about. Just place the SnuggleSafe inside your microwave to heat. The non-toxic thermapol compound inside the pad retains heat for up to 10 hours. Order today! 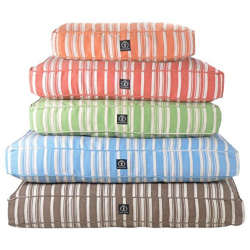 Harry Barker Striped Hemp Pet Beds Reduce your carbon paw print with dog beds from Harry Barker. Extremely durable, our Classic Stripe Dog Beds are naturally mildew resistant and use only non-chemical, earth-friendly dyes. These preppy, colorful striped dog beds will brighten any room. Covers are preshrunk and machine washable. Order today! 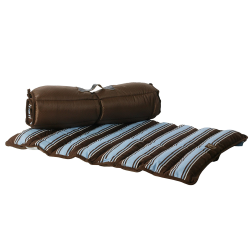 South Shore Step One Dog Bed with Storage You can fill the “mattress cover” with the stuffing of your choice, so your dog will have a snug, comfortable place to sleep. 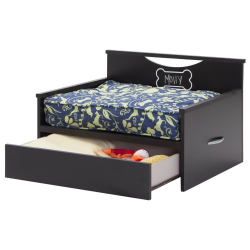 The storage drawer for toys and the label you can personalize with your pet’s own name. Ideal for small to medium size dogs. Order today! Enchanted Home Pet Artemis Bed The Artemis Bed is a classically designed sofa bed for pets. Tufting on the seat adds to the beauty of this sofa. Elevated draft free sleeping with fully upholstered furniture grade construction. 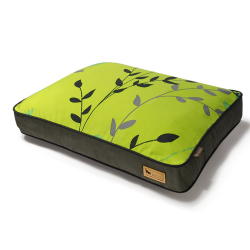 Enchanted Home Pet furniture eases your pet into a luxurious cushion that engulfs them in complete comfort. Order today! What’s For Dinner, Dexter? 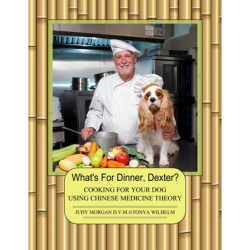 : Cooking For Your Dog Using Chinese Medicine Theory by Dr. Judy Morgan and Tonya Wilhelm Home cooking for your dog can be fun and easy. By using Chinese Medicine theory, you can keep your pet healthy using fresh, wholesome food ingredients. 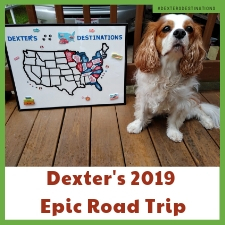 Learn to use food as medicine by following the simple guidelines with over 50 main dishes for your dog, some travel meals and snacks. Order today! 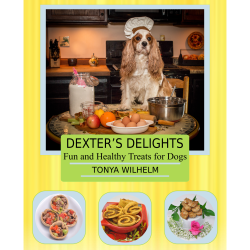 Dexter’s Delights: Fun and Healthy Treats for Dogs by Tonya Wilhelm It’s time to pass by the dog treat aisle and head to the health food store. In this comprehensive dog treat book, you will learn fun ways to incorporate healthy foods, herbs and spices into your dog’s treats. Say no to wheat, corn and sugar and yes to coconut oil, lean fish, and cinnamon. Order today! 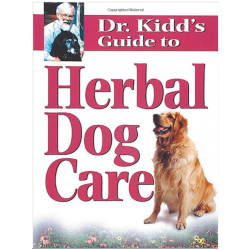 Dr. Kidd’s Guide to Herbal Dog Care by Dr. Randy Kidd Maintain your dog’s health the natural way with gentle, chemical-free treatments for both preventative care and acute health problems. Herbal remedies for common dog ailments, including hot spots, hip dysplasia, anxiety, and respiratory illness. A complete overview of the canine body is included, with accompanying tips to improve the health. Order today! 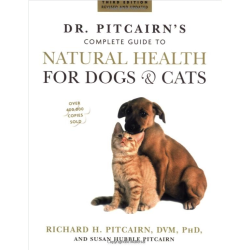 Dr. Pitcairn’s Complete Guide to Natural Health for Dogs & Cats by Richard H. Pitcairn and Susan Hubble Pitcairn The book that is the definitive guide to a natural lifestyle for dogs and cats is now completely updated and revised–for the first time in 9 years. Writing with the warmth and compassion that have won them a national following, veterinarian Richard H. Pitcairn, noted specialists in chemical-free nutrition and natural healing for pets. Order today! 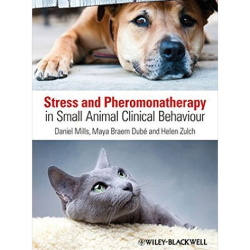 Stress and Pheromonatherapy in Small Animal Clinical Behaviour by Daniel S. Mills, Maya Braem Dube and Helen Zulch Stress and Pheromonatherapy in Small Animal Clinical Behaviour is about how stress impacts on animal behaviour and welfare and what we can do about it, especially by using chemical signals more effectively. This readily accessible text starts from first principles and is useful to both academics and practitioners alike. It offers a framework for understanding how pheromonatherapy can be used to encourage desirable behaviour in pets. Order today! 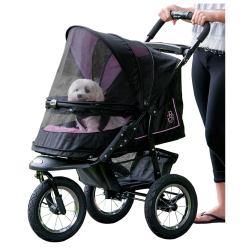 Pet Gear No-Zip NV Pet Stroller, with Zipperless Entry NO-ZIP technology means that you can easily gain access to your pet without fumbling with difficult zippers. This stroller navigates over rough terrain with ease, whether jogging or strolling, thanks to the front locking wheel. Suitable for pets up to 70-Pounds. Order today! Solvit Folding Pet Ramp Most economical model and the lightest full-size ramp on the market Supports 200 lbs High-traction walking surface gives pets a sure footing. Safety release latch secures ramp while being carried or stowed. 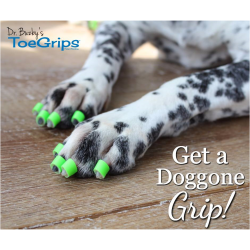 Prevents injury and reduces wear and tear on pets’ joints. Simple, folding design is easy to use. Order today! 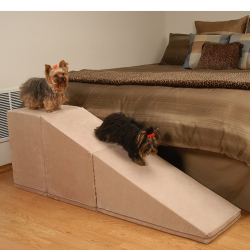 PuppyStairs 2-Piece Ramp with Cube The original Puppy Stairs® pet ramps and steps —built to last the lifetime of your dog or cat. Our supportive, durable foam ramps and stairs reduce jumping, prevent injuries and promote healing. Our secret is this: Each self-contained cushion step is constructed from durable, high-density industrial foam. Order today! 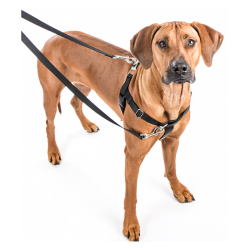 GingerLead Dog Support & Rehabilitation Harness The GingerLead is a soft, padded belly sling with a leash & handle to help dogs with weak hind legs walk. 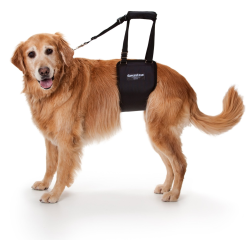 It’s ideal for aging or disabled dogs needing some assistance with their balance or mobility, dogs suffering from arthritis or other debilitating conditions, or dogs recovering from knee, hip or back injuries. Order today! Disclaimer: This is part of a sponsored holiday guide. However, I only search out the best products and brands. Your trust is very appreciated, and never taken for granted. Great gift guide with so many options! We have a Gingerlead to review, we are trying it on our senior cat. I think they are such a brilliant development for aged and ill pets. Wow! We’re happy to say we have some of these items, but have put others on our wish list. So much of this stuff would make our fostering duties easier! What a great collection of products, all of these would make great gifts for dog or cat lovers! Thanks for sharing. Thank you for visiting. It was fun to make and dream…. 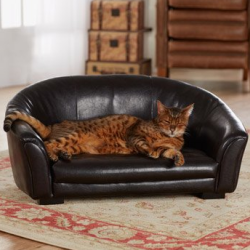 I love the sofa bed… but I don’t know where we would put it! Mr. N would like the bully sticks please. Wow! There are TONS of interesting items on this list! I’m curious about the biodegradability of the poo bags. I’ve been looking for something like that. Thanks. I love these bags, they are very sturdy. They also have a white line that is made from 100% corn! I really think Theo would love those wool/rice husk balls. I will add them to his list this year! Sweet. I think those look really neat. I haven’t had the opportunity to check them out. So many wonderful products in this post! We have tried many of the food items, but I look forward to trying some of the other. I really love that Enchanted Artemis bed. Also, love that you included some items for people, too. Thanks. Yes, check out the Freedom harness, you will love it! Those cat balls look cool. I’ve been buying doggie ice cream cups for many years now. 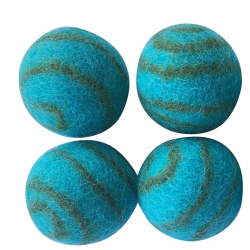 The Pet Pizazz 100% Wool Eco-friendly Cat Balls are really a nice toy for the active cat. This is a really great list of gift ideas! It can be hard to find all-natural items for pets. Thanks. Yes, it can be hard to find great natural and quality pet products. These all look like great products and would make great gifts. I don’t have any pets, but I will share this with friends and family. Thanks for sharing. Great gifts for the pet lover in your life too. Wow these are great. I know my cat would love the toy. Anything for red ear sliders? Sorry. I’m not familiar with them enough to write about them or their needs. I love how passionate you are about healthy pets! I personally love the idea of essential oils and pets! Oh I love this! We have a dog and always treat him on his birthday, so a few of these would be great or him! I love the look of the harness, that’s something we would definitely use! Yes! Our pets need gifts too 🙂 They need to experience the holiday spirit just as much as us humans do! My three dogs request any and all treats as gifts. My kitten wants toys that she can bat around. My older cat requests that we leave her alone. Thanks. Perfect gift items for a pet lover in your life. This is a great list of products. 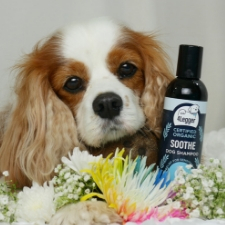 We love using natural products for our animals. Thanks! So glad you enjoyed it. I loved putting it together. These are really great products. what made me most excited is t the biodegradability of the poo bags. Its great idea and I am sure everyone is looking for something like that. Thanks. Yes, Earth Rated is an amazing brand! Thanks for sharing. Great gifts if you are shopping for a pet lover. These are some fabulous ideas. I might have to get my cats that puzzle. They’d have fun with it! 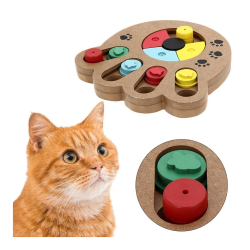 🙂 PYRUS Eco-friendly Pet Paw Puzzle is a great interactive cat toy. Perfect for the feline hunter. Thse are awesome pet items. I dont have any pets but this is super helpful for those who do! 🙂 Great for the pet lover in your life too. Lots of unique items. As you know, we’re huge pet lovers at our house and I’ll simply take one of everything! There’s a little something for the kitties as well as the puppies. I especially like the striped pet beds. They remind me a little of what we have today. I drape colorful Turkish towels over the places they sleep .. super easy to change and wash. Thanks. I too love Earth Rated poop bags. 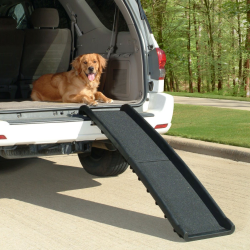 Solvit Folding Pet Ramp is a great ramp and brand. There are some brands here I’ve never heard of! This is such a great round up of items for a crazy dog mom like me! I honestly never buy my pets gifts to celebrate their birthdays or Christmas. Yeah, I know, bad pet parent. I do think though my chihuahua, who is aging, needs a new bed. Senior pets really do need a nice bed as they age. Great for their joints. It’s always so nice to give them things that they’ll enjoy! Like a good comfy bed or some treats for in between meals! These are lovely suggestions. I would love to give some of these to my Riley! It’s really nice to show them that they’re loved and that they are special in our lives. These gifts will help you show them that. I bet Riley would have a great time with some of these items. I love shopping for my pets. wow so many great products I did not have a clue there were so many selections for eco friendly pet products. Love the book selections many great information. Yes. There are a lot of nasty products out there, but with a little digging, there are a lot of truly amazing products and brands. Thanks on the books, two I wrote! I never realised how many all natural pet products there were! I have started an all natural lifestyle for myself and my human family and am just now looking at natural alternative for my pooch and kitty. So definitely pinning this one. Thanks for sharing!! Thanks for pinning! I’m so glad you found my website. It’s all about natural and healthy pet care. I have recently undertaking an all natural lifestyle for my human family and am now on the lookout for all natural products and food for my kitty and pooch so this is perfect timing! I never realised their were so many natural options!!! Thanks for sharing! Ya, real stuff! I’m so glad you found my site. Please let me know if you have any questions. I also have a search bar if you are looking for a specific topic. These are cute products for pets. Thanks for sharing. Sure thing. Thanks for checking them out. Am I the only one here who wants to buy all of these? 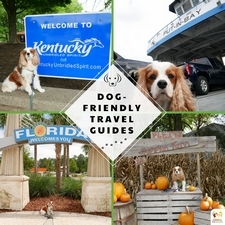 I have 4 furkids and this guide will be really handy. LOL I’m guessing not! I am often trying to find more room to keep all my pet’s things. Pretty soon they’ll have their own house! Thanks. Oh, my kitty and my mom’s kitty love to be spoiled. It’s so much fun. 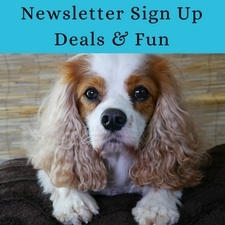 I have three dogs, and this is such a great selection of interesting products! Curious to try some of them for my pets! Thanks. Isn’t that sofa bed the coolest? I love it. Oh these are a wonderful products. How i wish my dog is still alive so i can buy her some of this. <3 I do know some people who no longer have pets that buy pet gifts and donate to shelters and rescues. Just a thought. It must really be nice to be a dog these days! I wish treats like those would have been around when I was a child so I could have shared them with my two dogs, Woody and Rex. Kids these days may have internet…but dogs and cats these days have eco-friendly organic snacks! hahaha Love that comparison. So witty. Thanks. Such great gifts here. 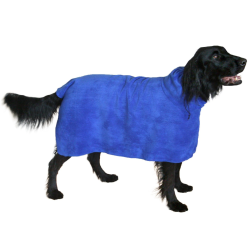 I really like the idea of the snuggly for my dog. I think he would love it. Thanks. Yes, doggie drying jackets make baths or swimming so much easier. This is such a great list! I on’t have pets but I’ll share it. I just pinned it. Thanks for pinning! There are some really nice things in this list. 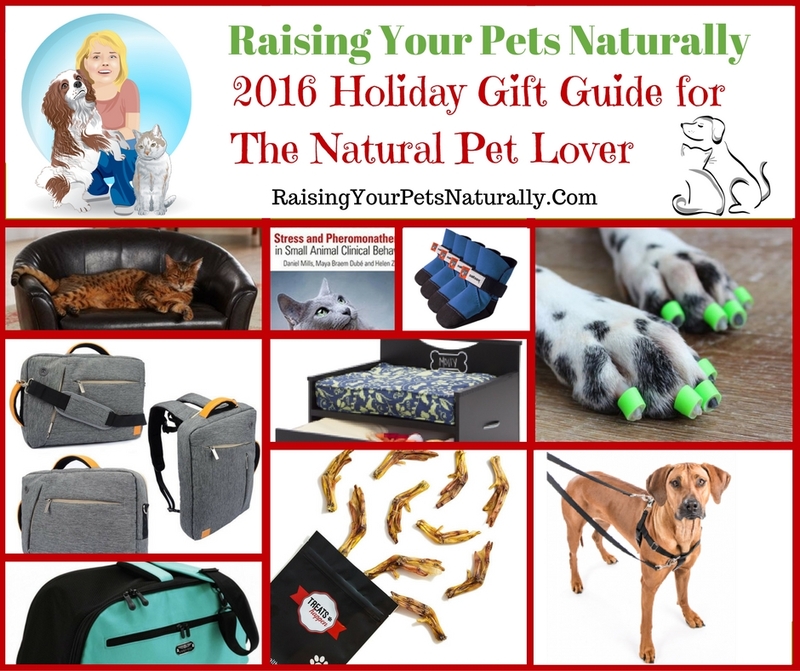 I’ve many pet loving friends and this is a great gift guide! I’ll keep in mind whenever I’ll be gifting them! That’s a great idea! There are some really unique items on this list. These products are great! I want to buy all of them for my pup. Thanks for sharing. The products sound really good. I didn’t realise there were so many eco friendly animal products available. I think it’s great as we need to work on this everywhere. Thanks. I totally agree! We have to think and care about our environment. good gift ideas, feels good to show love and affection to our pets and make them feel closer to us too. i dont have one now but i love pets. 🙂 Even some travel essentials and things for the people too. Sucha great list for a pet lover. Now, I know what to give to my cousin who just adores her dog to pieces. What an extensive holiday gift guide for cats and dogs. I like the idea of an eco pet paw puzzle for cats, I bet that would keep them entertained for hours! Thanks. Love the puzzle food toys for pets. So great for those hunting skills, especially for our cat hunters. I don’t have a dog right now. I didn’t know that a pet would need all these. So cute. I think I need to get a puppy now. haha There are some needs on the list, but also some spoiling items. What isn’t available these days for pets. The pet toothbrush is hilarious. 🙂 The pet toothbrush is actually a necessity. We should be brushing our pet’s teeth daily. The list looks good for those that have pets. I love that pet stroller. Thanks. Or the person who likes to travel. 😉 We love pet strollers, have 2! Initially, I was curious about the title of your post but now I get it. You are offering a wide range of eco-friendly products for our pets. Very nice. 🙂 Thanks. 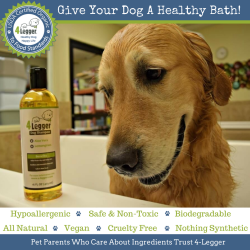 Natural pet products, eco-friendly and safe. That was the goal. There are sooo many goodies on this list! My spoiled pup would have a field day! haha That’s great. It was really a fun list to make. All those goodies are just amazing! So many great inspirations! Yeah! 😉 Thanks for posting! Hope you’re having a nice week so far! Thanks! It was a great guide to put together.